Everybody knows Luis Suárez has the eye of the tiger in front of the net. We've seen him score with both feet, his head, by scissors kick, volley, bicycle kick, you name it. But this time he does it a little bit differently. 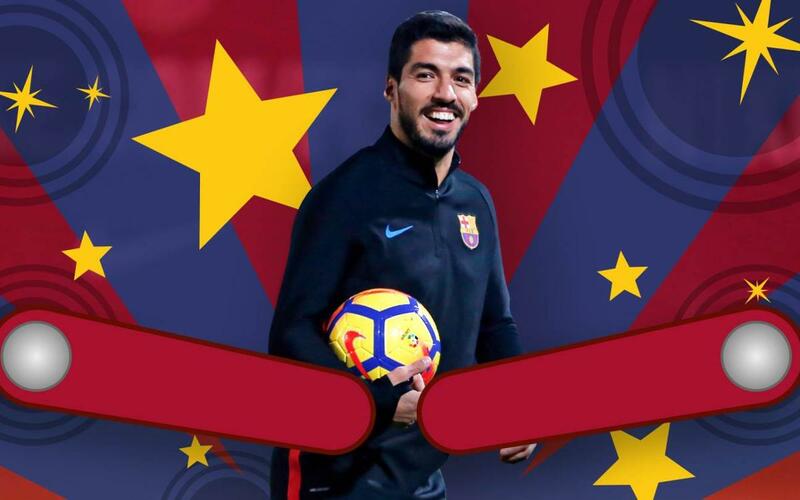 With the ball being whacked around in a sequence reminiscent of an entropy model, Suárez puts things back in order with a goal that will leave you utterly flabbergasted!